Work started on H.M. Adelaide Gaol, designed by George Strickland Kingston and based on the design of Pentworth Prison back in the UK. The building commenced in 1840 and the doors finally opened a year later, ready to receive the influx of prisoners that at first didn’t come. 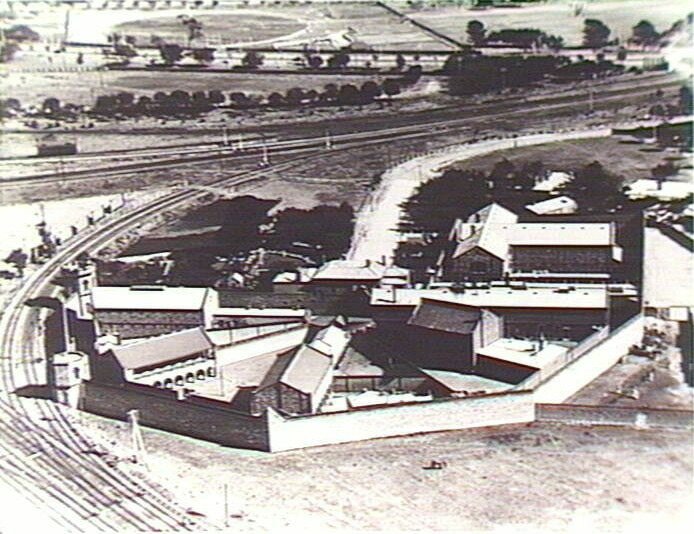 In fact for many years locals complained that this Gaol was nothing but an eyesore; a blemish that ate a large part of South Australia’s budget. At first the costing was around £17,000 to £19,000: however changes were made and parts added, and before long that cost rose. A visitor to Adelaide noted that "£34,000 has been thrown away, ornamented with a parcel of trumpery and useless towers ... containing accommodation for 140 imaginary prisoners." Sarah Francisco spent over 16 years in Adelaide Gaol in short sentences, was sentenced to 12 months five times and spent 12 Christmas Days in Gaol. Many of her sentences were served concurrently. The Adelaide Gaol Register of Prisoners include her offences as assault, indecent language, habitual drunkard, disturbing the peace, breaking two panes of glass, incorrigible rogue, idle and disorderly, assaulting police, abusive and insulting words, and being a rogue and vagabond. Under Trade or Calling, Sarah is variously described as housewife, washerwoman, servant, prostitute or charwoman. Sarah continued her drunken lifestyle and even when over 70 years of age still spent much of her time in Adelaide Gaol. Many of her terms were concurrent and had she served her full terms of imprisonment she would have spent over 180 years in gaol! Sarah Francisco was a notorious inmate of Adelaide Gaol. She amassed a total of 295 convictions resulting from her drunkenness and unruly behaviour, mostly around Port Adelaide. Her first conviction was in 1872. Subsequent convictions included drunkenness, indecent language, assault, resisting police, riotous behaviour, abusive language and disturbing the peace. Sarah had her ‘own cell’ in Adelaide Gaol’s 2 Yard. The current occupant was immediately evicted whenever she was brought in and Sarah moved back into her familiar surroundings. On one occasion the keeper told her that everyone who came in three times in one year had to go into 1 Yard. Sarah, infuriated at not being given ‘her cell’, threw off her hat and shawl, kicked the officer fiercely in the shins and started a fight. This earned her a further fourteen days including seven on bread and water. On another occasion when being released, Sarah advised the gaol authorities to keep the same clothes and cup for her, as ‘she would be back in a day or two’. Where are the most haunted places in South Australia? Let Haunted Horizons Ghost Tours™ take you there! We are by far the biggest and most successful provider of Ghost and Dark History/Crime Tours in South Australia, with exclusive access to such venues as Adelaide Gaol, Z Ward, Old Tailem Town, National Railway Museum and Adelaide Arcade. Hear ghost stories from long established ghost hunters in Adelaide, Paranormal Field Investigators, the official investigators of the Old Adelaide Gaol for 10 years.